On Abnormal Returns we have not spent much a whole lot time focused on fiction books. This may be because there are few fictional takes on the world of investing. However Jacob Taylor has changed all that with his new book. 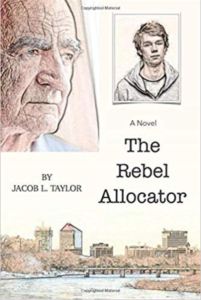 In The Rebel Allocator, Jacob L. Taylor (@5_GQs) uses fiction to educate readers about everything that goes into making good decisions about capital allocation in business success and investment returns. 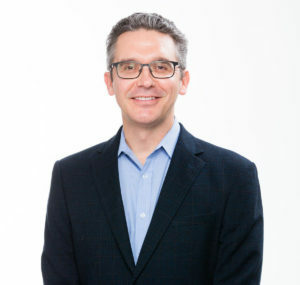 As Jake notes “If you imagine The Karate Kid‘s Mr. Miyagi morphed into a certain well-known Oracle, you’ll get a sense of The Rebel Allocator.” Jake is also the CEO of Farnam Street Investments and a former adjunct professor teaching about investments. I had to the pleasure to ask Jacob some questions about his new book. Below you can find my questions in bold. Jacob’s (unedited) answers follow. Enjoy! 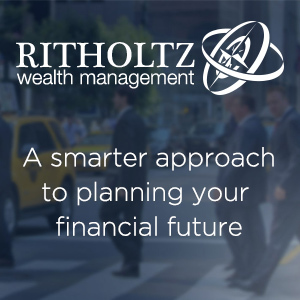 AR: There is no shortage of books on investing, finance and business. Why choose fiction? What does it provide that non-fiction doesn’t in this situation? JT: I started this project as a non-fiction. The sudden loss of a close friend my age forced me face-to-face with my own mortality and legacy. That introspection, and several other nudges from the universe, convinced me I needed to tell a story if I wanted my work to have any lasting relevance. I hope the wrapper of a fictional story makes the otherwise dry business elements more approachable. I’d love for the reader to be entertained enough to forget they’re learning. AR: Mr. X in the book says “I dig the math of a book.” What does he mean by that? What books inspired you as an investor and now as a writer? JT: I call it ​The Gutenberg Miracle.​ ​I view books as a conversation, with a twist. The dialog is necessarily one-sided, but the other person is a passionate expert who’s sunk years into learning every nuance of their subject. Here’s the miracle part: we only have to pay this expert about one penny per hour for their effort. [$15 retail / 2000 hours of effort = $0.075 per hour] You can speak with the greatest historical intellects to ever pick up a quill or sit at a typewriter. Books invite you to climb into the minds of geniuses for an absurdly low price. Having laid bare my love affair with books, I’m going to punt. I don’t like giving specific book recommendations. Each of us have different experiences and tastes. I find it difficult to make suggestions without learning more context about the person asking. AR: The book’s protagonist Nick enrolls in an MBA program. As someone who has gone to, and taught, at business school what do you think about how these topics are taught? Do you think a book like yours would be a good teaching tool? JT: Truth be told, I wasn’t the best student in business school. Early in the program I won a lottery to travel with a small group to Omaha and meet Mr. Buffett. He was amazing, as everyone knows by now. For the next few years, I spent a lot of time reading anything about him, usually at the expense of my assigned school reading. I also spent a lot of time wondering why I wasn’t being taught more of what Mr. Buffett espoused. I took some general corporate finance classes that covered the basics, but I don’t remember much about capital allocation. And certainly little for the practitioner. My book is aimed at helping those making actual decisions, from paper clips to share buybacks. I’m on the board of directors of a private energy consulting firm that’s growing like a weed. Our CEO was not far from my mind as I wrote the book. He’s smart, capable, and motivated. Yet despite a standout career in the industry, he’s never been tasked with these kind of decisions. To borrow from Mr. Buffett’s famous observation, he’d gone from Carnegie Hall to the Federal Reserve without any training. After reading the book, he feels more conviction when he reaches a logical decision. 4. Communicating about investing is clearly important to you. For example, you have done a series of interviews for your podcast, including me. What did you learn through that process and what if any of it ended up in the book? I’ve been blessed to have so many great people come on Five Good Questions–including yourself, Tadas! My quality of guests borders on the absurd; I’m way outkicking my coverage. Every book I’ve read and interview I’ve done has an influence. ​One way to view your worldly wisdom is like a pointillism painting of knowledge. Every conversation, story, experience, and book becomes an important dot to help you better understand the world. Everything fits together to provide context, contrast, and nuance for that never-finished painting in your mind. AR: I found it interesting that the book is titled and focused on the idea of capital allocation. The financial media seems to go out of its way not to discuss the topic. They discuss some of the components like dividends, share buybacks, borrowing and capital expenditures but never the whole thing. Is that so, and if so, why do you think that is the case? JT: I’ll take the liberty of expanding your statement: capitalism itself is under attack. I believe this to be a mistake, perhaps even an existential one for those of us in the US. It’s easy to take for granted the little everyday ways capitalism conspires to make our lives better. When was the last time you went to the grocery store and all of the shelves were barren? How do we coordinate to make sure we make the right amounts of everything without too much waste and rarely shortage? I’d call that a miracle hiding in plain sight. But you’re right, there’s a more specific lack of appreciation for capital allocation, and it goes beyond the media. (When I say “capital allocators,” I mean that in a real business context, not someone running an investment fund.) Good capital allocators are the grease in the capitalist system; they’re serving a vital societal function. Most managers are not dummies, yet they display herding behavior that becomes foolish in aggregate. One of my primary goals was to give business decision-makers the confidence to follow their own logic. Our capitalist system is more robust when it’s populated with independent thinkers. ​Rebels​ even. The natural perturbations of capitalism can be smoothed when we avoid confluences of entrepreneurial errors from groupthink. If I could tell a story that taught a few core principles and inspired bold initiative in the real world, I’d be honored to make that little dent in the universe. JT: I would be remiss not to ask about the experience you had with Charlie Munger and the book and having Jason Zweig at the Wall Street Journal write about it. Besides being a thrill, what else came of it? It’s been quite the thrill! I never would have guessed Mr. Munger would call me after reading my book. A thank you note, maybe, but a twenty minute phone call? No way. And then to have my favorite WSJ columnist do a write up? What are the odds? Unbelievable. *I have appeared on Jacob’s podcast and he was kind enough to send me a review copy of his book.